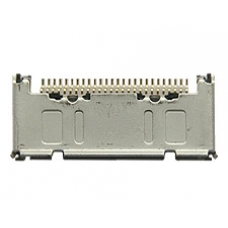 The 26 pin connector is surface mounted onto the Acer N30 main board and is the component by which the PDA syncs and charges. The pins in this part are easily damaged by using poor quality aftermarket sync and charge accessories. Please note that the fitting of this component requires soldering skills. If your Acer N30 PDA will not sync with your PC or charge via the sync socket this is usually because the 26 pin connect..